Chakras are the energy centers in our body. The word “chakra” comes from the word “wheel”. We have seven main chakras and each chakra is located on a plexus (center of a network of nerves). These energy centers are responsible for keeping our spiritual, physical and mental aspects in balance. This subtle system is the same in every human. What is different is how we use it and with what quality. Each chakra is ruled by a planet. 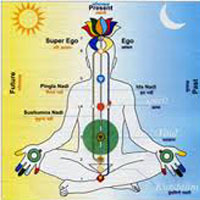 Chakras display the nature and characteristics of their ruling planets. Birth charts, which are formulated according to our date and time of birth, show the aspects the planets were in when we were born and how they relate with each other. While our birth chart describes our spiritual, physical and mental aspects, it also helps us see how the planets shape us and affect our chakras and energy body. The first breath that we took on this earth has made its mark on every cell of our being and has become an unseperable part of us. Entire humanity shared that moment with us and life started flowing with the next moment. However, that moment of our birth spreads over our entire life and gives us the responsibility to use “that moment” to the benefit of all humans. Only we hold the chance to make that moment perfect. We can feel that our life is part of the universe as we get to know ourselves and balance our being. The seven chakras within us is like a reflection of the entire solar system. In one sense, humans are a microcosmos of the macrocosmos. Therefore, universal energies symbolized with those of the solar system exist within us too. Now let us look at the connection between the planets and chakras. Our first chakra that is located beneath the spinal cord is called the Mooladhara. Mars, which is also the ruler of the sign Aries, governs this center known also as the root chakra. The mooladhara chakra represents innocence, purity, pure childlike joy, wisdom, sense of direction and a strong connection with earth and life. If this chakra is strong within us, it gives us wisdom and decisiveness in our action, the ability to find the right direction in life and to make correct decisions. 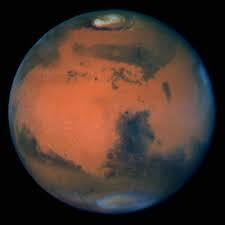 Among planets Mars represents friendly and kind physical strength and action. The energy of Mars is intense, natural and sometimes instinctive. Our action carries physical dynamism and courage with positive Mars energy. We live each day with the enthusiasm of a child and with fresh desire to discover life thanks to this energy. Mars rules a person’s sexual energy in astrology. Badly affected Mars takes a person to extremes. Similarly, the Mooladhara chakra governs the reproductive organs but its sensitivity is harmed due to extremes and things that are not innocent. We can feel the purity within us and have the desire to live accordingly as our first chakra becomes stronger. Mars is the action planet of the zodiac. The ‘Red Planet,’ Mars Energy equates to passion, drive and determination. Mars speaks to the power and confident expression of the individual. Mars encourages us to face challenges and to be our best, Mars also values courage and honour. Assertion and a daring, fearless nature please this planet. Our second chakra, the Swadisthan, is located in our abdomen area and is ruled by Mercury. Mercury governs the signs of Gemini and Virgo in astrology. The most important function of this chakra is to break up fat cells in the stomach and provide the energy that is needed to renew white and gray cells in the brain. It also strengthens our thinking capacity. This chakra supports our sense of aesthetics and creativity in all fields. The ability to understand easily, come up with practical solutions to our problems in life and intelligence all come from this chakra. Mercury represents intelligence, the mind and creativity in astrology. A mercurial nature brings to mind restlessness and motion. Mercury is about a quick wit, quick thinking, possibilities, opinions, reasoning and the ability to rationalize things. This planet also prompts us to move from one thing to the next and to get answers on both a physical and psychological level. Further, Mercury’s energy is both dexterous and perceptive. The third chakra is located in our stomach area and is called the Nabhi. This chakra represents satisfaction, balance, morality, generosity and the capacity to evolve. 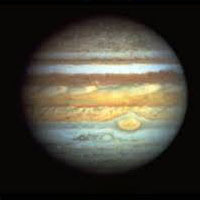 The ruling planet is Jupiter – the same as the sign that governs Sagittarius. Jupiter has a noble, generous, helpful and virtuous nature. It gives prosperity and increases everything – both good and bad. It is the planet of good luck. Our financial wealth is governed by this planet. Our third chakra gives us well being in both material and spiritual life. A good nabhi chakra makes us feel satisfied with what we have and helps us be very generous when necessary. The third chakra is like a house with two doors. Wealth enters through one door and spreads from the other, thus continuing the cycle. The universal energy provides us with all that we need and we do not ask for more. Our fourth chakra is our heart chakra which gives pure love, compassion, the quality of being a good parent, self confidence and detachment. Most importantly, our spirit is located in our heart and the spirit is nothing but love. 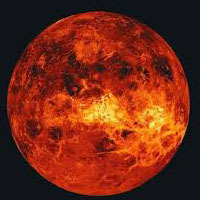 Its ruling planet is Venus, which represents love, beauty, art and rules the signs of Taurus and Libra. The Nabhi Chakra Associations with Venus the day being Friday, the Gem stone ‘Ruby‘ the colour Red. The Element Air. 12 Petals. Venus is the Goddess of Love. In Astrology, Venus represents many areas of our life, the interpretation of Venus would be to say that it rules our sentiments, what we value, and the pleasure we take in life. Grace, charm, and beauty are all ruled by Venus. Through Venus, we learn about our tastes, pleasures, artistic inclinations, and what makes us happy. We look to Venus in the natal chart to see how we approach relationships of the heart, as well as what gives us pleasure. Do we enjoy the give and take of relationships the security our relationships give us. The fifth chakra is called the Vishuddhi. Located in our throat area, this chakra helps us feel that we are part and parcel of the whole. When this chakra is open it makes us feel that we are part and parcel of the whole. We experience the feeling of being one with the universe, with nature and with other humans when this chakra is open. The ruling planet for this energy center is Saturn. Saturn also governs the signs of Capricorn and Aquarius. Difficult aspects of Saturn in our birth chart make us feel lonely in life. Saturn is like a disciplined teacher. The location of Saturn in our birth chart gives us tests in that area of life and helps us improve our weak points. It reveals the parts of human character that need to be completed. At times it limits, creates obstacles and makes initiatives useless. Saturn does this so we learn the lesson it is trying to teach. Once we learn and discover our limits, Saturn gives us stability, sturdiness and detachment. The fifth chakra also governs the ability to discriminate between right and wrong within us. At times when Saturn is testing us, we are able to use our discrimination power to understand what is right and wrong with the help of this chakra. This energy center also gives us a witness state. It helps us to enjoy life while playing our role and witnessing all the tragedies and difficulties like a drama. The earth, the entire universe and planets play a role in this game and put it on stage. Saturn, when functioning badly, creates a pessimistic personality that cannot see the good things in life and feels sorry for itself. 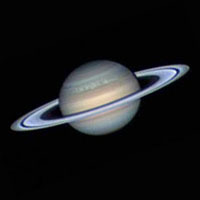 Astrological Significance As the most distant of the visible planets, The Great Teacher, Saturn signifies the boundaries of personal awareness and experience. Astrologically, it depicts the finite limit to our own perceptions, capabilities and life; the fixed extremes against which personal will-power and self determination prove futile. The sixth chakra, which is located in the forehead, is called the Agnya. The ruling planet is the Sun. The Agnya chakra contains the ego and our conditionings. The Sun, on the other hand, forms our character and sense of being according to the energy of the sign it is located in. The keyword is “I”. 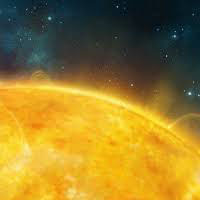 The sign in which the Sun is located is our main sign and signifies the stage of evolution with which we were born on this earth as well as the lessons we need to learn in life. It forms our sense of identity. We all have different identities that make us unique. Our family, education, friends, world view, the teams we support, etc. However, they are all identities created by our ego. Our ego and conditionings cannot rule over us when our Agnya chakra opens. We perceive our spirit, which is a deeper identity within us. Within us we start establishing humility and the fact that we are pure spirit. Dominant energy of the sun in the birth chart can make a person dominating, conceited and egoistical. What blocks the sixth chakra is vanity, which makes a person feel superior to others. Apart from this, forgiveness dawns within us as we feel the pure spirit within everyone. The Agnya Chakra Associations with the Sun the day is Sunday the Gem stone ‘Diamond’ the colour is White. The Element Light. 2 Petals. 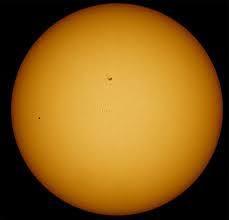 Astrological Significance The Sun, the giver of life, represents our conscious mind in Astrology. It represents our will to live and our creative life force. The seventh chakra, our Sahasrara, is the fontanelle area on top of our head that was soft when we were small. The ruling planet is the Moon, which also governs the sign Cancer. The Sahasrara chakra is above all chakras and is made up of a combination of all the chakras on top of our head. 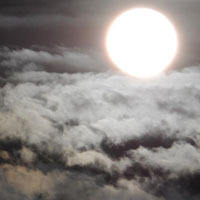 The Moon governs emotions, instincts and our mind. The opening of the seventh chakra helps the chakras within us become integrated with each other and establishes a strong connection between us and the cosmic energy. This integration carries a person beyond consciousness. In astrology the moon defines the unconscious state of our character, in other words, it signifies an area beyond our consciousness. This unconscious state has always existed and it will always exist as it is the all pervading power that encompasses the entire universe. The Sahasrara chakra is a door that opens from our individual consciousness to the consciousness of the all pervading power. A strong moon at the time of birth makes a person sensitive, instinctive, creative, sacrificing, able to understand others and spiritual. The Moon also represents productivity, femininity and developed feelings of motherhood within us. The personality has a changing nature in a birth chart with a dominant moon because the moon is the fastest to tour the zodiac. The energy it reflects constantly changes and flows. The moon also bestows a strong ability to adapt. Similarly, the universe is also constantly changing and flowing. When our seventh chakra is open and has established connection with the universal energy, we feel like a drop that has mixed into the ocean and that our being is in harmony with this great flow. Astrological Significance, the energies of Pluto are transforming. Pluto represents subconscious forces, ruling all that is “below the surface”.